Have you ever asked yourself if why your employer is not really able to motivate you to love your work? One of the reasons why people are motivated doing what they do is because they see a purpose in their work. 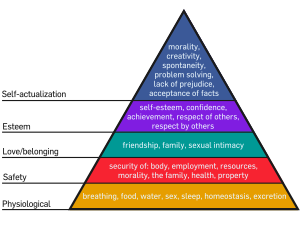 This fact you already see in “Maslov’s Hierarchy of Needs“. The following video demonstrates the surprising truth about what drives our motivation.